With direct views of Gramercy Park, this three bedroom, three-and-a-half bath home is in mint condition with full-time doorman comes with a key to the park. Enter into the large south-facing living room with wonderful light and feel like youve been transported to London with all the conveniences of Manhattan. An entertainers dream, the large open kitchen has custom cabinets, granite counters and stainless steel integrated appliances. Your glorious master suite is larger than in many suburban homes, has amazing closets, and is pin-drop quiet. An enormous five piece ensuite bath features side by side dual vanity, extra deep soaking tub, frameless glass shower and separate water closet. 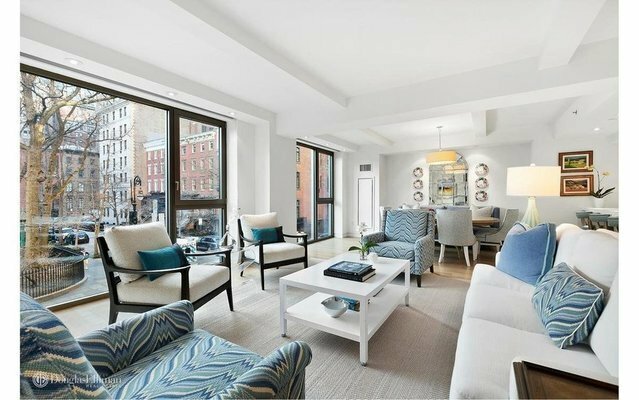 50 Gramercy Park North is a meticulously maintained pet-friendly building with twenty-four hour doorman and full-time superintendent. Amenities are those of the Gramercy Park Hotel which is immediately next door. These include state of the art fitness center, spa services, housekeeping, room service, butler, valet, childcare, dog walking, event planning, catering and personal shopping.